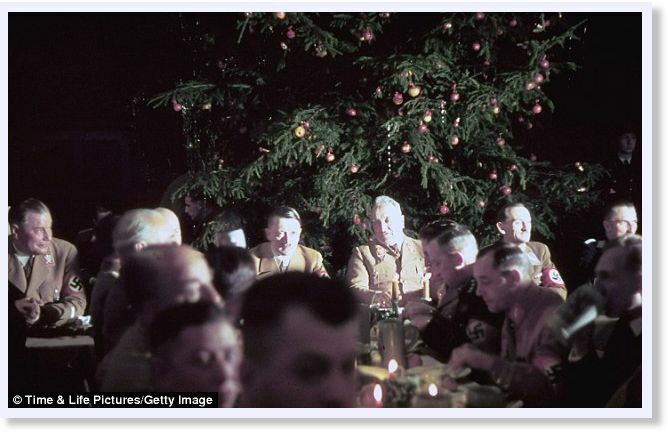 50,000 Christmas CDs sent out by a German children's charity, actually contained Nazi /Hitler Youth musical anthems. According to the charity, the CD print computer was "hacked" by neo-Nazi activists. Families woke up across Germany on Christmas Day to play what they thought were religious melodies - and instead got tunes including The Rotten Bones Are Trembling, the official anthem of the Nazi youth movement. Some 50,000 of the Christmas carol CDs were sent to households in Germany by the SOS Children's Villages charity. Roger Damm, spokesman for the organisation, said it seemed that the computer which recorded them had been hacked by a neo-Nazi group. 'We have had many complaints that we were spreading Nazi hate propaganda,' he added. "Because today Germany hears us/ And tomorrow, the whole World!" The correct translation of those lyrics is: "Because today Germany BELONGS TO us/ And tomorrow, the whole World!"